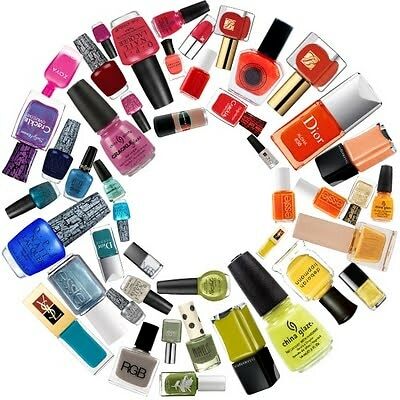 It's difficult to face a nail polish display these days and not feel like a kid in a candy store. And with eye-popping pinks, glittering golds, and more than fifty shades of grey, it's tempting to take home more polish than your beauty drawer can handle. That's why we're polishing off our home decór skills and taking nail polish beyond the manicure. From cake stands to spice racks and more, here are some handy solutions for your ever-growing nail polish collection!